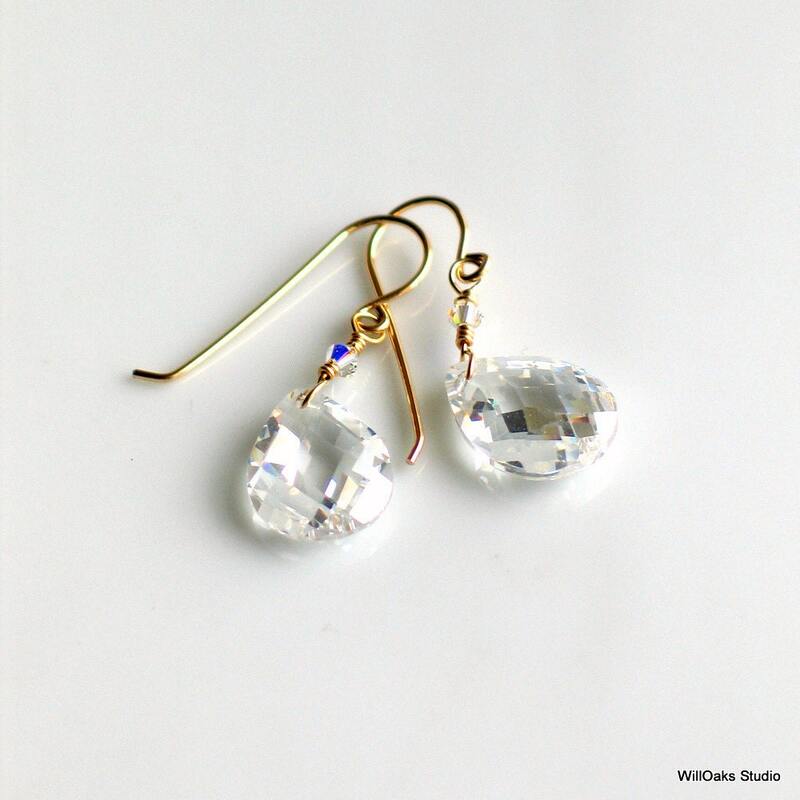 These dangle earrings have dazzling sparkles with clear cubic zirconia, the manmade version of diamonds. Perfect for an April birthday! 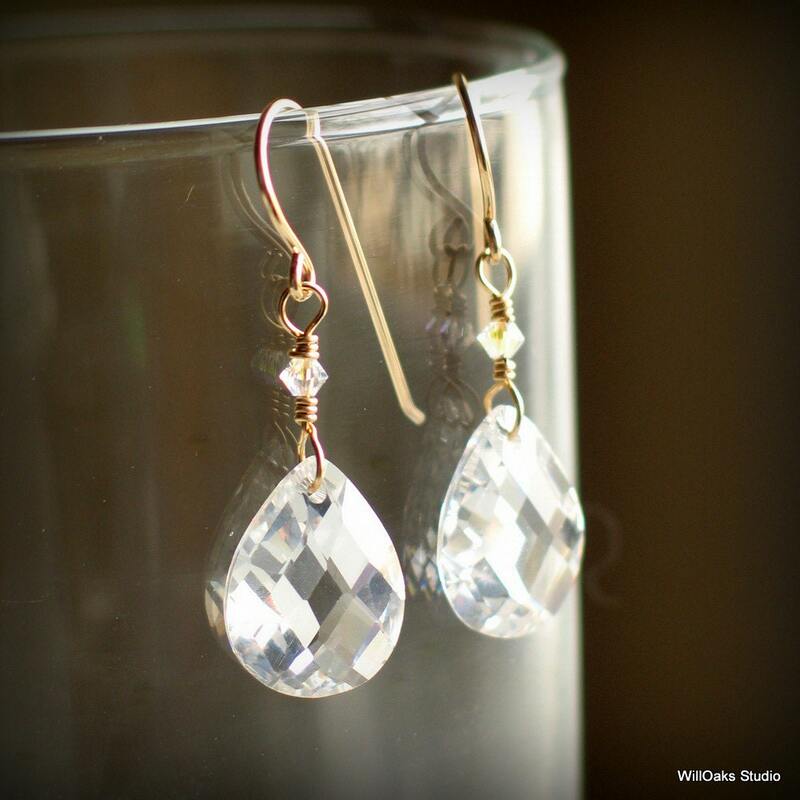 Wrapped to dangle in 14 20 gold filled wire, and perfect for holiday fashion. Could be an elegant, perfect gift for her. Ready to ship. 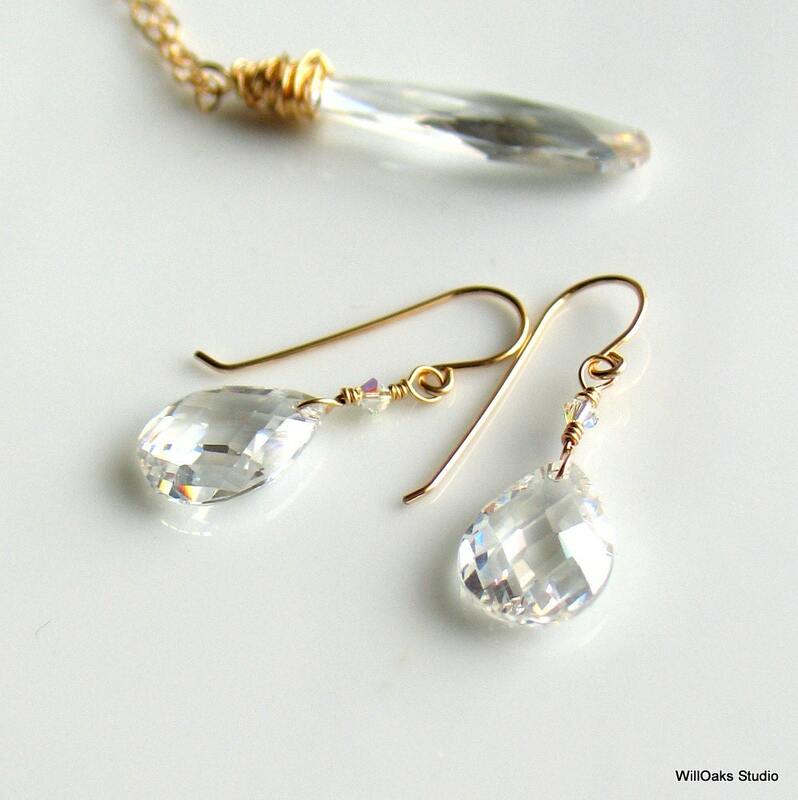 Faceted CZ teardrops measure 16 mm x 12 mm and dangles measure about 1 3/8" (34 mm) measured from the top of the handmade ear wire. I love Cubic Zirconia--a man made stone originally designed to mimic diamonds at a fraction of the cost. Yet just as elegant and sparkly and definitely a festive feeling. Please drop a note if you're looking for a different color and I'll let you know what's in stock and what might be available. 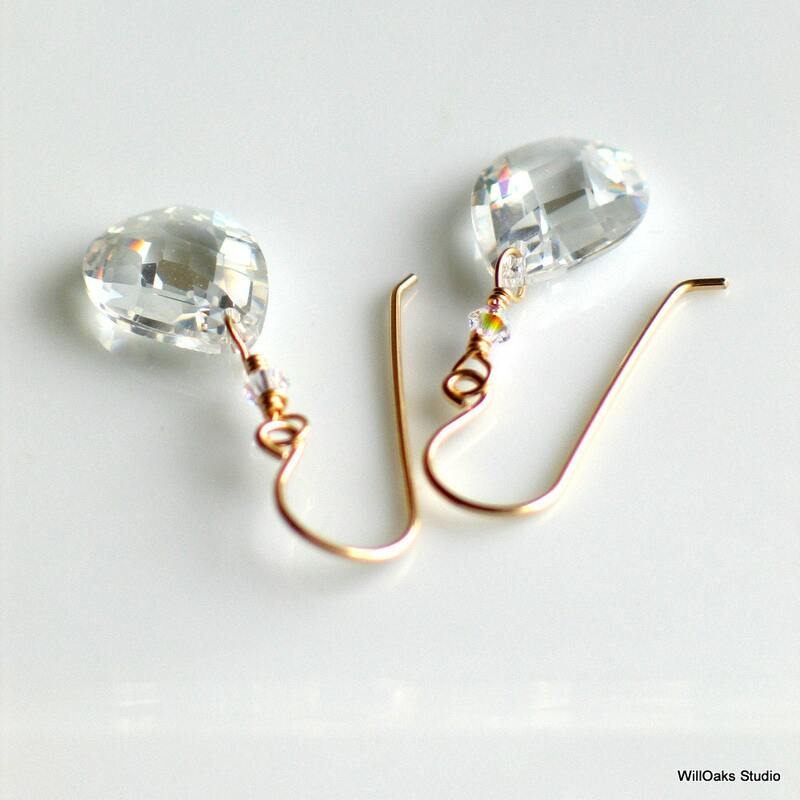 Earrings are packaged in my signature boxes and mailed in bubble envelopes. 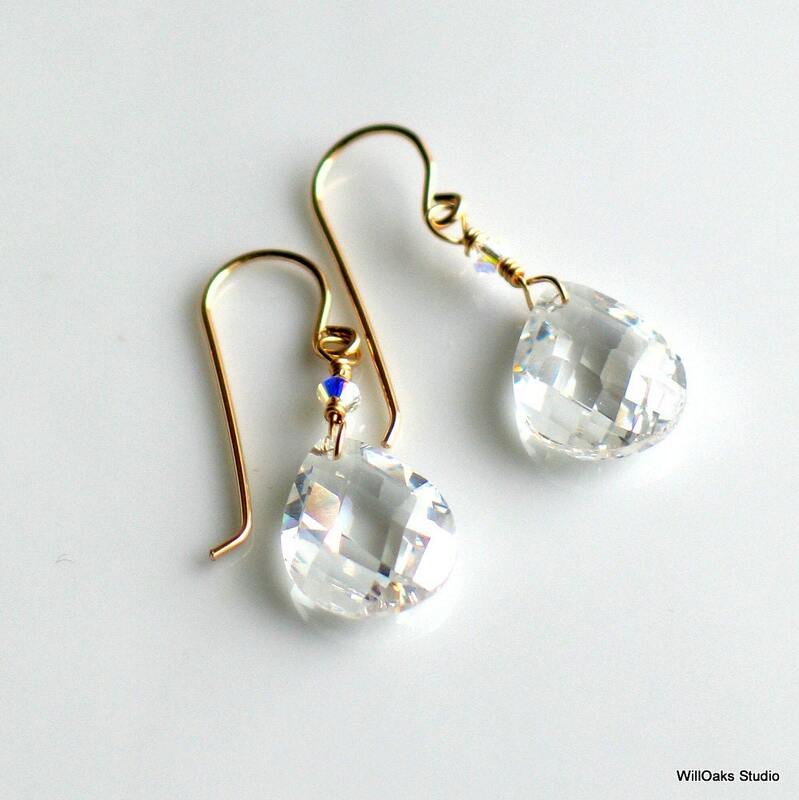 Please check out lots of earring designs here https://www.etsy.com/shop/WillOaksStudio?section_id=5768146 and here https://www.etsy.com/shop/WillOaksStudio?section_id=10086769 and you're welcome to visit more of my studio here https://www.etsy.com/shop/WillOaksStudio.